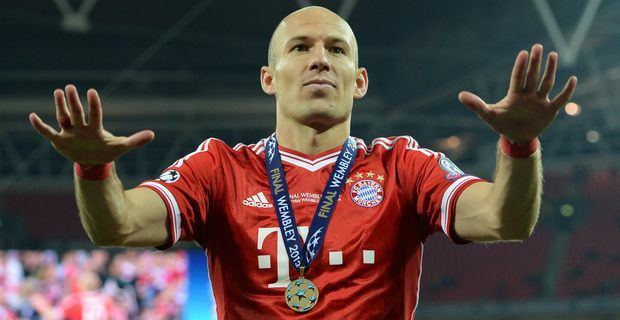 Arjen Robben's dramatic late winner secured the Champions League for Bayern Munich. The club has been on the receiving end of late goals from Manchester United and Chelsea in previous finals but this time they got to dish out the heartbreak, seeing off fellow German club Borussia Dortmund at Wembley. The Dutchman's intricate footwork allowed him to tiptoe past a couple of challenges in the area, before despatching a cool finish past Roman Weidenfeller to seal the match in the 89th minute. It was redemption for Robben who had shot directly at the keeper twice when in promising positions earlier in the game. Bayern, runaway winners of the Bundesliga, were firm favourites, but Dortmund more than held their own in the first half. When Mario Mandzukic exploited some rare casual defending from Dortmund to give Bayern the lead though, most felt the game was heading the way of the Bavarian club. Instead Dortmund hit back with a penalty after a violent challenge from Bayern's Brazilian defender Dante. Dante could have been red-carded for the offence. Instead he stayed on the pitch and Bayern gradually exerted the pressure that would bring them victory. Bayern manager Jupp Heynckes is being replaced by Pep Guardiola next season. This win was the most effective farewell, and he insisted that leaving was his own decision. "I told the club this would be my last season," he said, "and I am just pleased that it has been such an outstanding success." Robben missed a penalty in the shootout against Chelsea in last season's final, but had the immediate chance to make amends and be a hero. "Providing an assist and scoring the winner at the end is a dream, it is very difficult for me to believe it," Robben said. "We can forget about the other finals now. We are a real team. We fight for each other and run for each other. I'm really proud. Finally!"